The annual London Independent Photography exhibition is at the Espacio Gallery in Bethnal Green, from Tuesday 2 October to Sunday 7 October 2018. A couple of the Ealing group members have photographs in it. It's a good chance to see photos from the group across London. Oblique Strategies from Edmond Terakopian on Vimeo. We had a wonderful opening of our group Oblique Strategies exhibition. The video above was put together by Edmond Terakopian and gives a really good feel of the photos, how they are hung and the space. About 150 people came along to the opening - thank you all so much! The photos look great in the space. There is a gallery of the photos here where you can also purchase prints in a range of sizes and types of paper. BEAT now kicks off this weekend so do have a look at the exhibition and go and check out other local artists including Ray who has a solo show in Fade To Black. Welcome to our gallery website where you can view the group's projects and also order prints from some of our photographers. If the image you're after is not featured here or available for purchase, please contact the photographer directly to make arrangements. The online gallery's print sales system (best used on a Mac or PC) caters for everything from smaller and resin coated prints at very affordable prices, aimed towards the photo enthusiast, all the way to larger prints (including real BW prints, fibre prints and Giclée prints) aimed more at the appreciator of very high quality prints. All prints are made by Metro Imaging, one of the UK's top professional photo labs. Please note that if the image you're ordering is in a square format, the size of the print will correspond to the smaller dimension of the print size ordered. For example, if you order a 10"x8" print, a square image will be 8"x8"
Huge thanks to Edmond Terakopian for his efforts in setting it up. Group member Ray Malcolm has his own solo show as part of BEAT at the fabulous Fade To Black coffee shop in Hanwell which is open daily. For this new exhibition, Ray asked strangers to pose as couples, constructing a moment of connectedness from anonymity. We have an exhibition coming up! 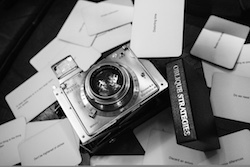 19 photographers from Ealing London Independent Photography have created a collection of work in response to a set of Oblique Strategies originally written by Brian Eno. The images address the challenges of creativity and how they can be overcome by ingenuity and lateral thinking. We are delighted to be part of BEAT for a second year. Make sure you get hold of a brochure and visit some of the other exhibitions. Counting the Steps on the Pavement is the result of Leonardi's personal walks in the city, taking photographs to enable him to capture urban details, to count his steps and to record the world from his perspective. Members Minako Iwatake and Chris Moxey take part in the Lauderdale House summer exhibition, which showcases the ‘best of the bunch’ from a wide range of submissions. Chris Moxey is part of the collective Thirteen who are holding their fourth exhibition at the Croatian Embassy in London. The theme is open, to allow for the diverse approach in how we each see the world. Open: Mon to Fri 11am-4pm. There have been a few group members exhibiting this year already. The latest was Fabrizio Quagliuso exhibiting in Tokyo. He has uploaded the photos here. Three groups members Frankie McAllister, Danilo Leonardi and Dorota Boisot took part in the LIP Central group exhibitoin in April. Ray Higginbottom has a solo exhibition at the National trust venue Cliveden. He uses objects found from National Trust properties and turns them into something beautiful. His inspiration, he says, comes from across the artistic spectrum. From music and poetry to film and theatre, Ray is a true artist. 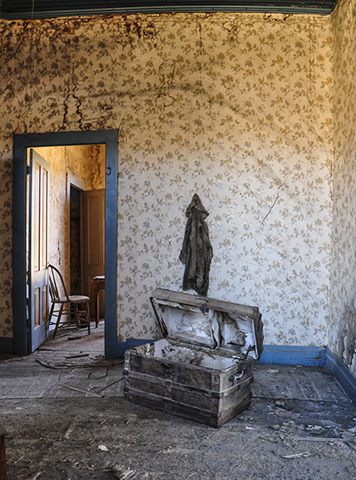 His ability to 'find the unexpected in the mundane' is translated through his photographs. It runs for a couple of months until the end of February. You'll need to pay to get into Cliveden.